Enjoy Menorca from another perspective! 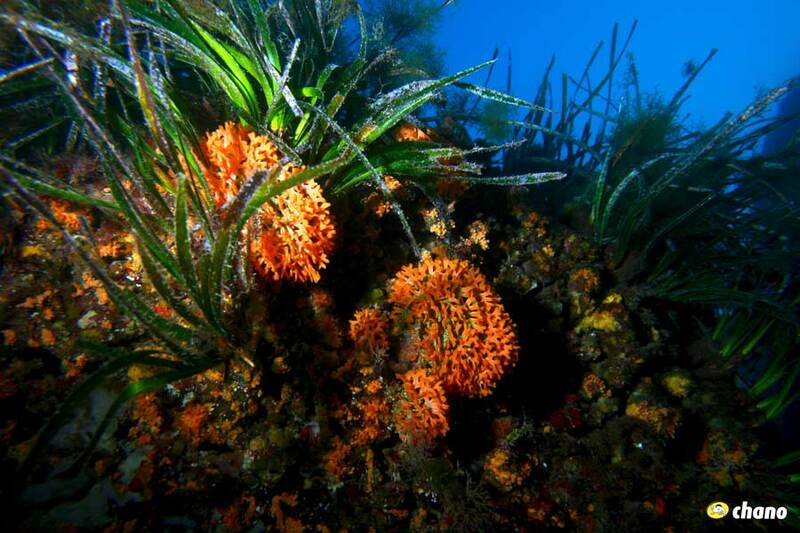 Menorca is a diving paradise located at the Mediterranean, come and dive with us! 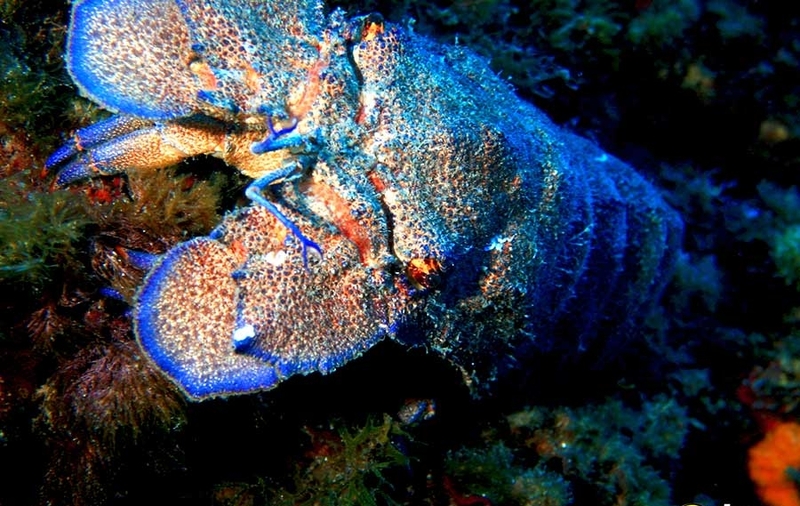 We offer you different spots to dive according to your diving level and experience. 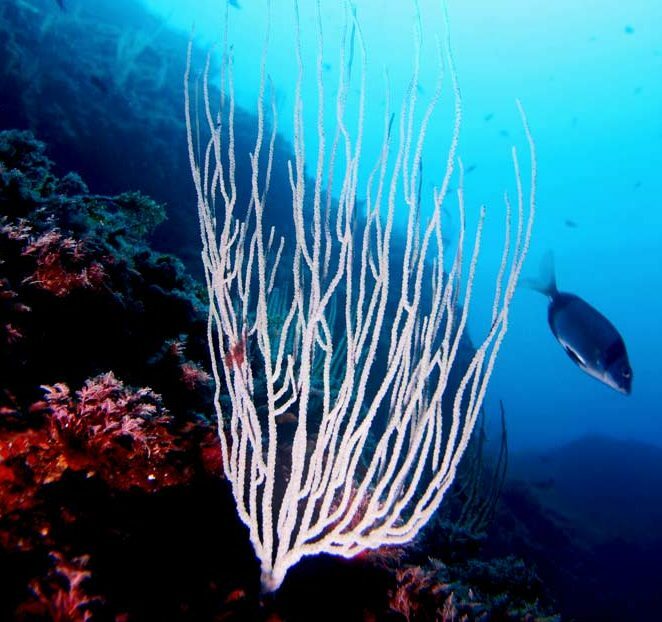 We dive in line with environment, we are respectful observers of the sea and we are committed to transfer this skills to all our students, we want to teach how to become a “thinking diver”. Tell us, what do you like the most? 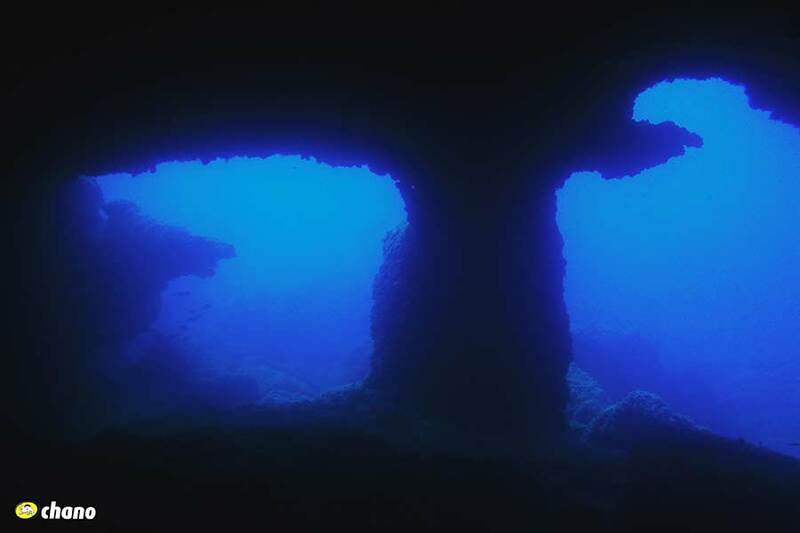 Reefs, caves or wrecks? 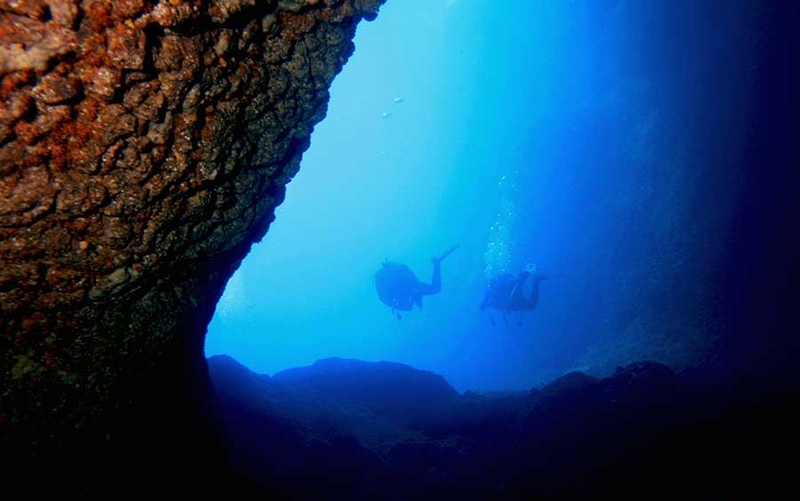 We organize dives to isla del aire, cap d’en Font caves and also, to the best wrecks of the island. Es Cargol, Punta del Bisbe, Cagaires, S’estancia, Dos Torres , Santa Clara, Malakoff, Catedral, Pozo de la luna, Campanario, Organ Loft, Acuario… and much more, check it out! 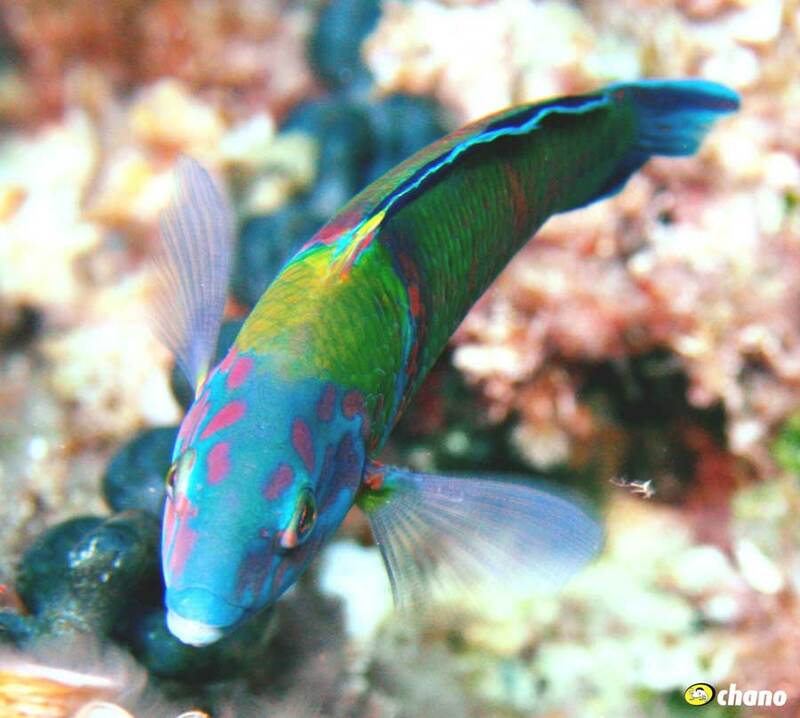 A reef full of life. 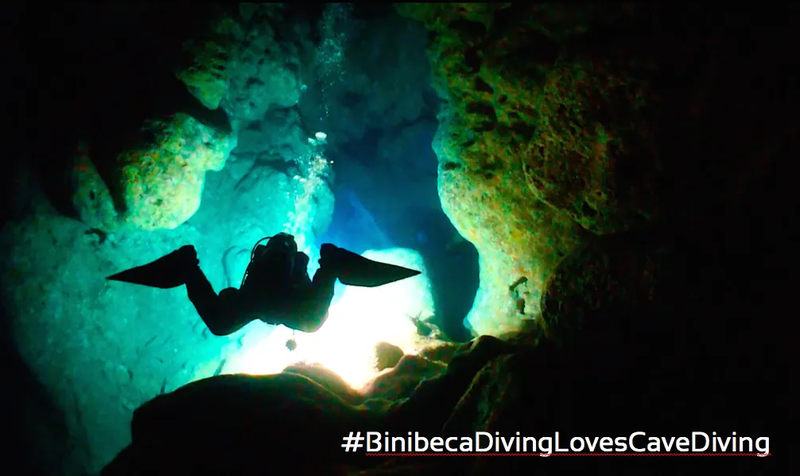 One of our favourit immersions, from first timers to experts this dive is appropriate for all levels. 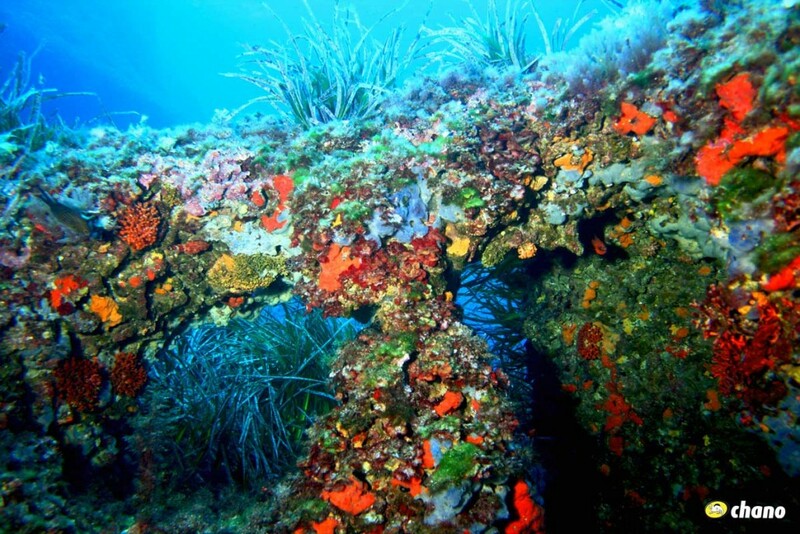 Es cargol is a natural reef situated at 1km from the coast, which for centuries has been a black spot for boats. Its depths are a plethora of small caves, tunnels and cavities, marches and chimneys. 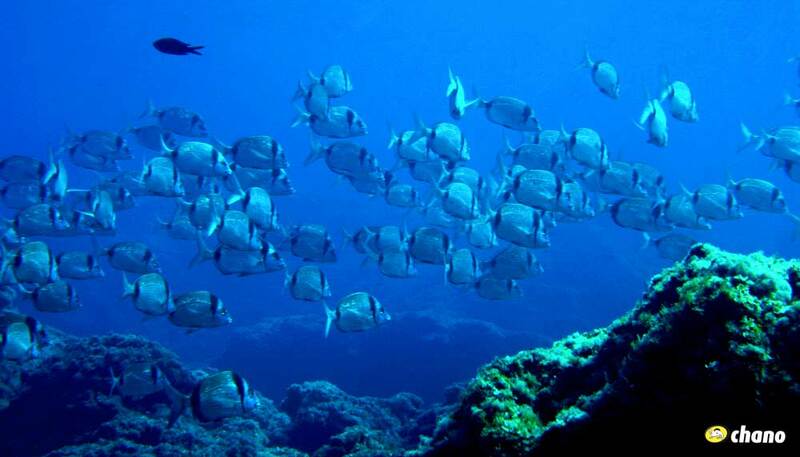 In the upper part of the reef there is much life and big expanses of poseidon to see. 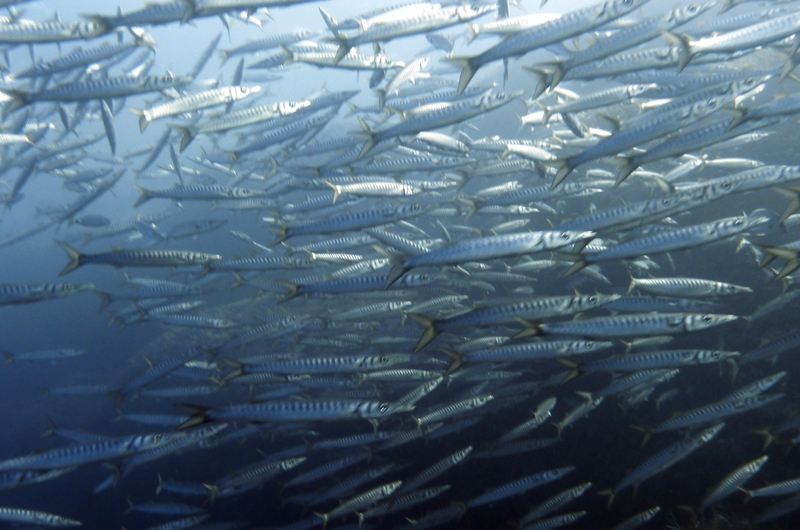 Be seduced by the schools of barracudas. 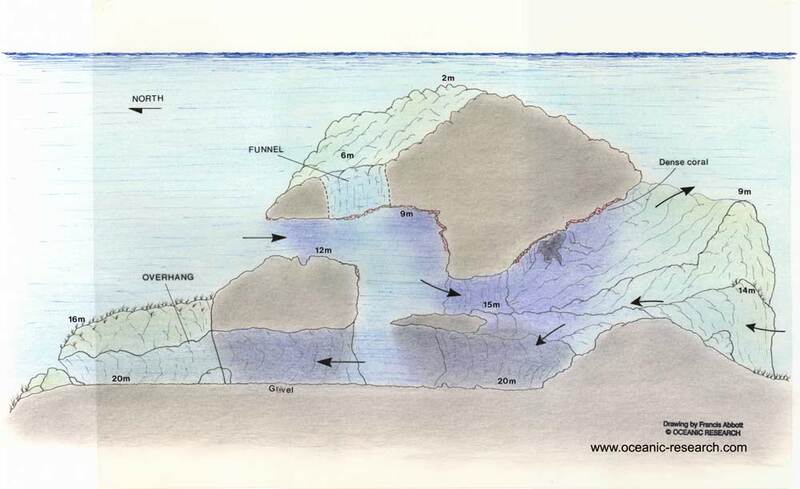 Our dive site furthest west of Isla del Aire, it also is apt for all levels. 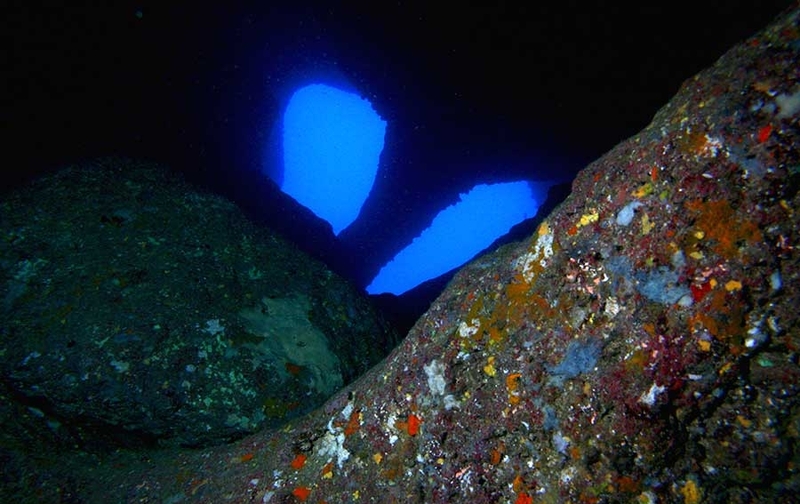 A reef dive where there is a small cave and a long tunnel and a site where we often find groupers, octupuss and schools of barracudas which follow you for the whole dive. 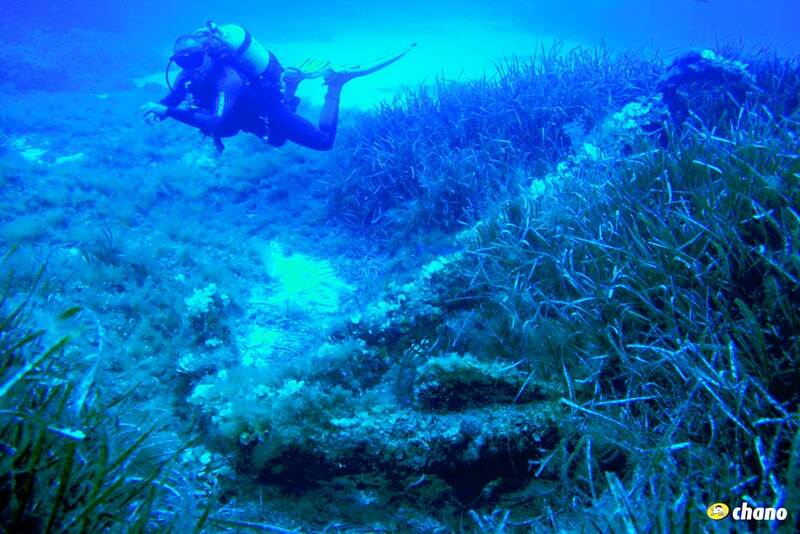 Also to be seen on this dive is the ast of a ship wrecked catamaran. 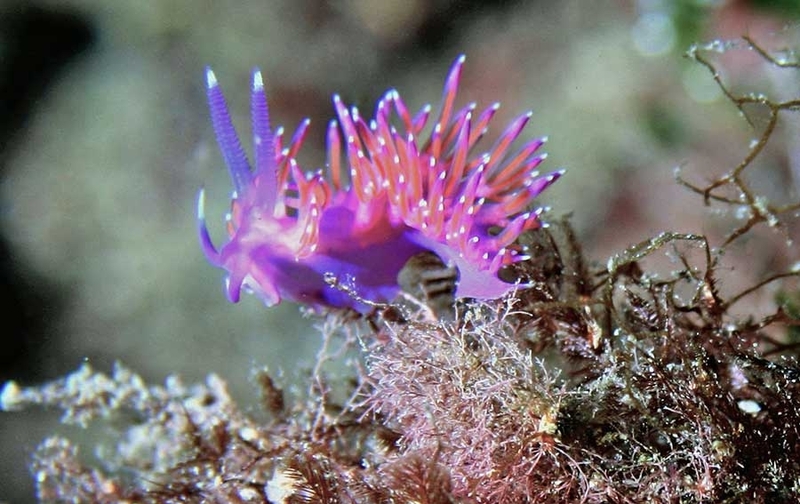 The star dive of the Isla del Aire. A gallery formed of 3 levels of depth full of colour and games with light and shadow. The walls of the central gallery are covered with delicate corals with an infinity of colours and holes. 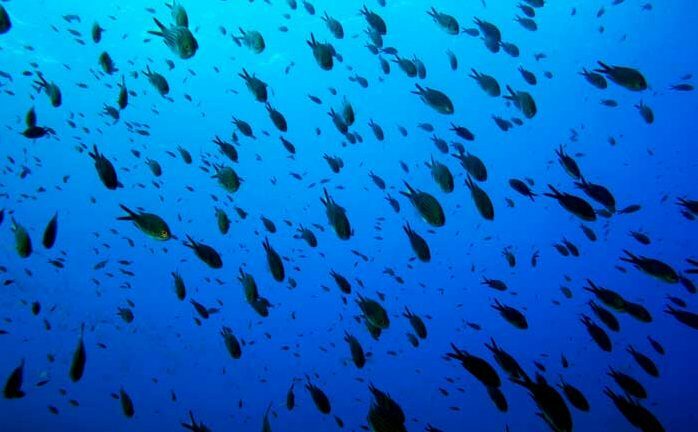 Here are sheltered brown eels, conger eels, and nudibranches (marine gastropod mollusks). We start this dive at the deepest gallery and finish leaving via its chimney. 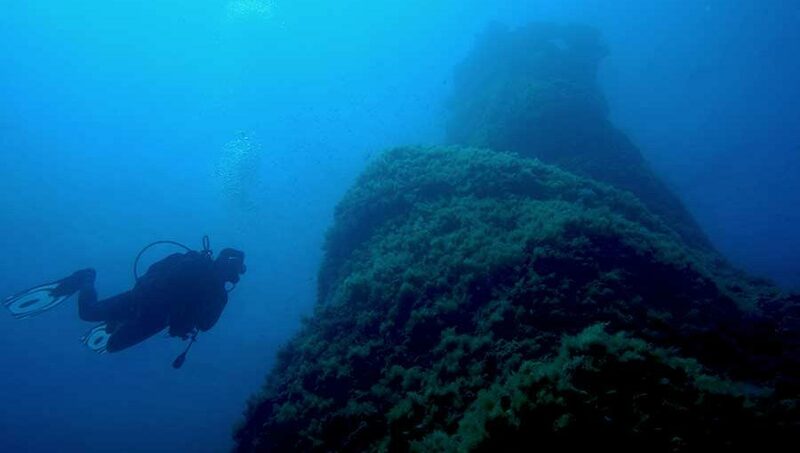 In this dive there are the remains of La Laurette to be seen, a war ship that sank in 1883. A perfect dive for photosub lovers. The games of light and shadow will dazzle lovers of photosub on this dive. 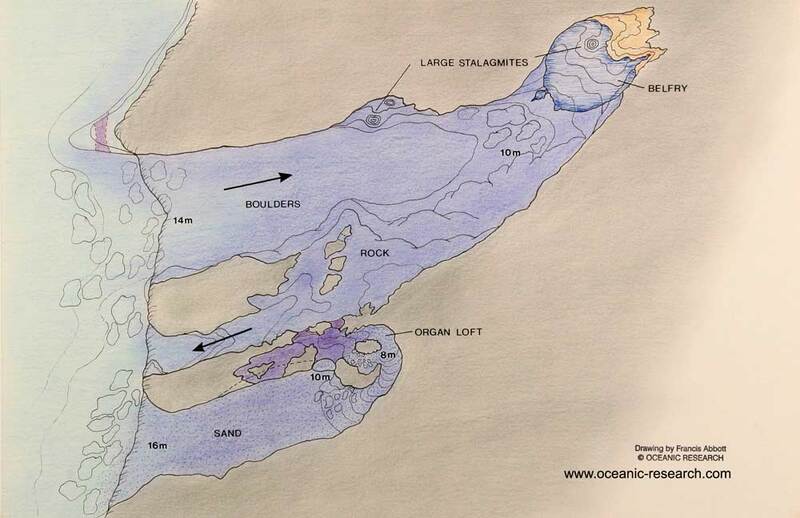 After anchoring of huge rock in 5m depth, surrounded by the Isla del Aire highest cliff walls. 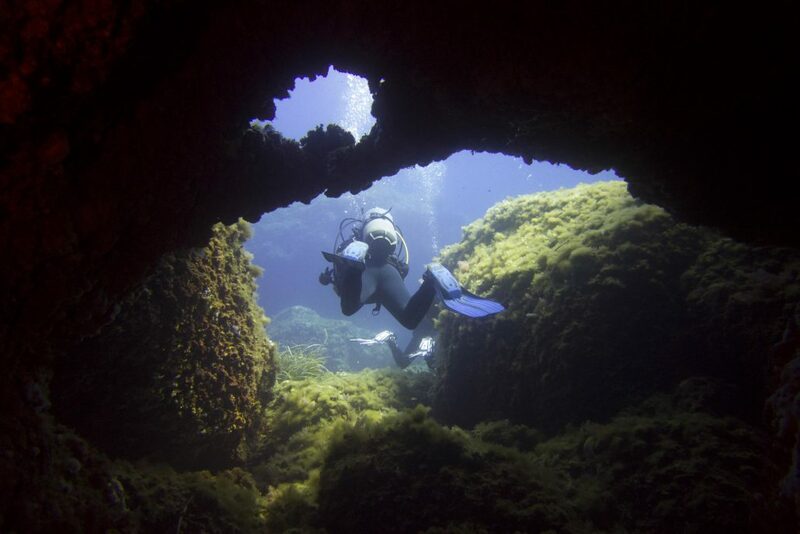 The immersion takes place in small caves with contrasting backlight, which offer the perfect hiding spot for lobsters, congers and morays. In the most western wall you find the largest cave, with its crack entrance at 9m of depth. 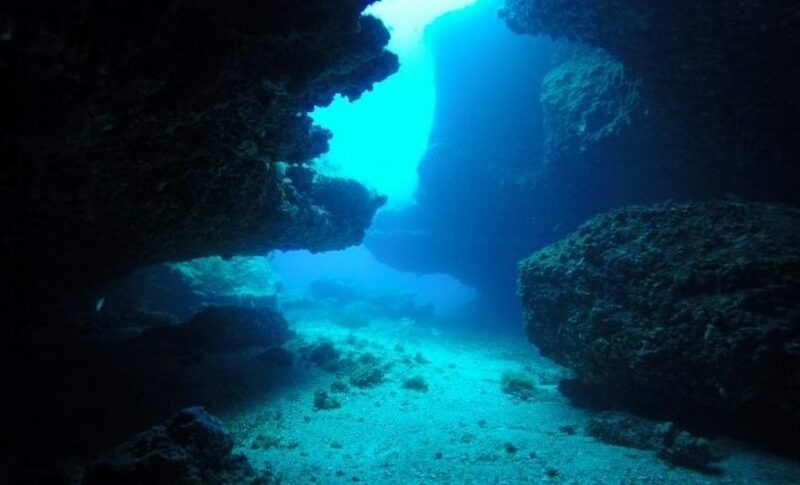 An immense and impressive rock tower that rises from 22m deep almost to the surface of the sea. The tower is perforated forming diverse small caves, fissures and arches to play in, and forming a natural habitat where many forms of life are to be found. An enormous rock in the shape of a gruyere cheese, that will not fail to impress. Van trip, dive site is on north side of island. An immersion on the north of the island of Menorca, Arenal d’es Castell, with a very easy access from land. 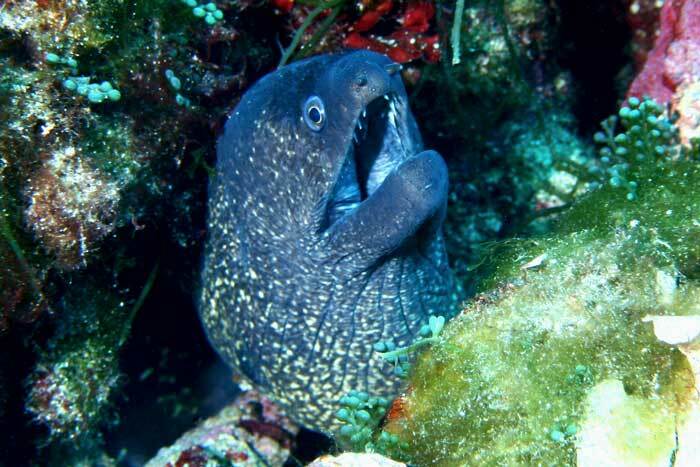 The scene of this dive is a giant rock that almost reaches the surface with holes cracks, blowholes and small swimmthroughs which are home to morays, congers and amberjacks, all playing its part in the spectacular game of light and shadow. This place deserves and would benefit from a double immersion. A small natural “cenote” in the island. 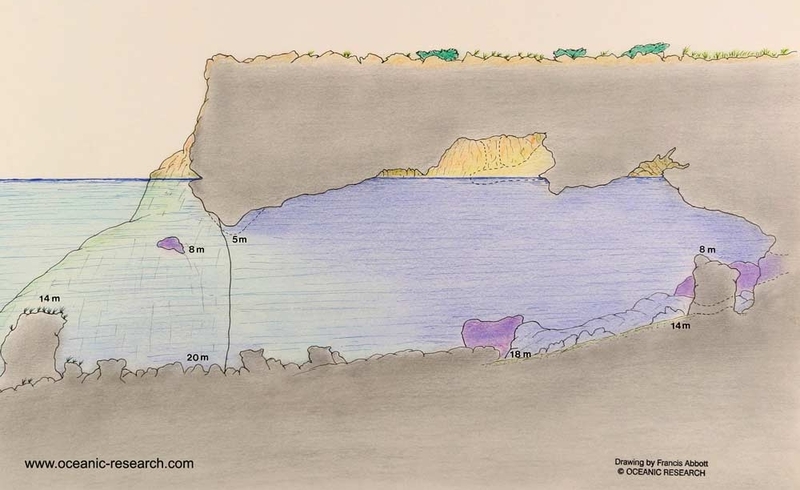 A small sinkhole with access from both land and sea with a system of chimneys communicating two caves and a dark interior chamber. The upper cave takes us to a small chimney with its way out and which creates a espectular entrance of light. 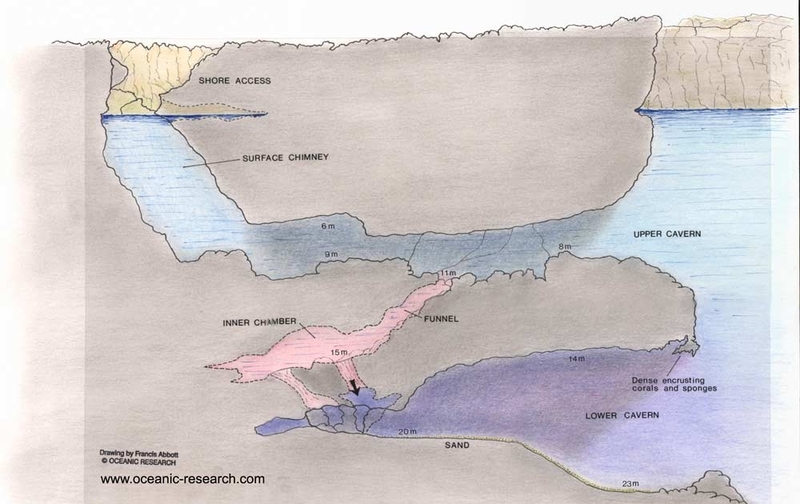 From the cave we leave into open waters, looking for a large crack with breaks through the rock top arrive at our anchor point. The biggest cavern of the Cap d’en font system. 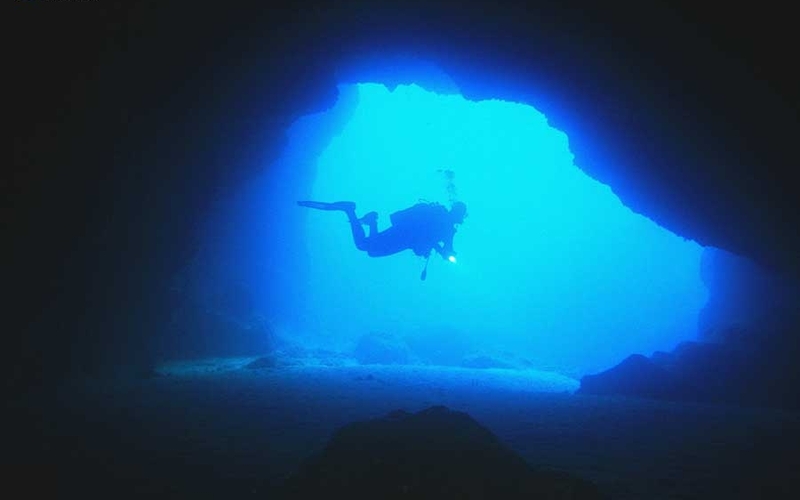 The biggest cave of Cap d’en font has a grand entrance from 24m deep almost to the surface. This huge entrance of light illuminates practically the whole cave to the very end where we arrive at the named “Altar”. The cave has an air chamber from where you can observe the impressive blue colour, created by the light from the huge cave entrance. 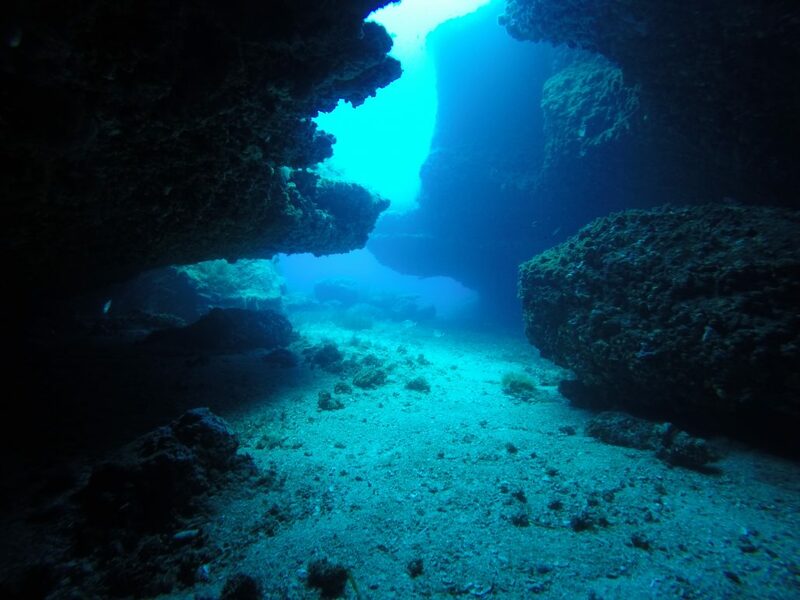 The exit of the great cave is made by a small by-pass at approximately 8m deep. Welcome to the heart of Cap d’en font. 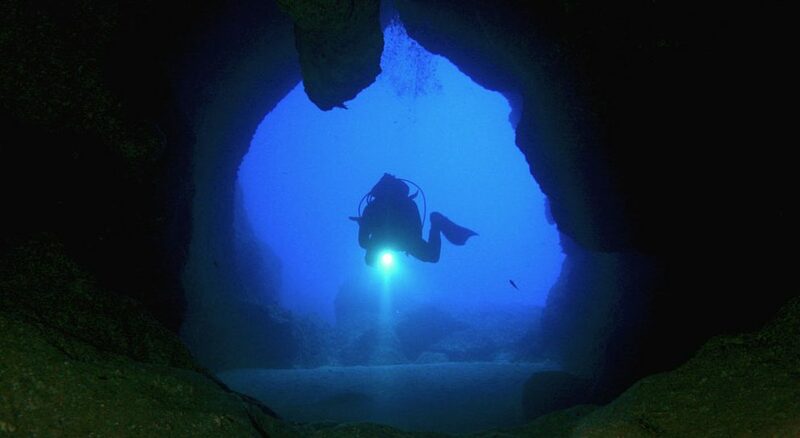 The dive start in a great cavern, like an entrance hall, which leads to a small corridor with a rocky bed and end in a circular wall that rises and crosses an halocline. The immersion goes through a narrow corridor which is the name sake of the dive, this then leads us to a fork where the left fork ends in a small air chamber. The most spectacular of the caves of Cap d’en Font. Without doubt, one of the prettiest and most spectacular caves of Cap d’en Font. A dive for the more experienced and trained. 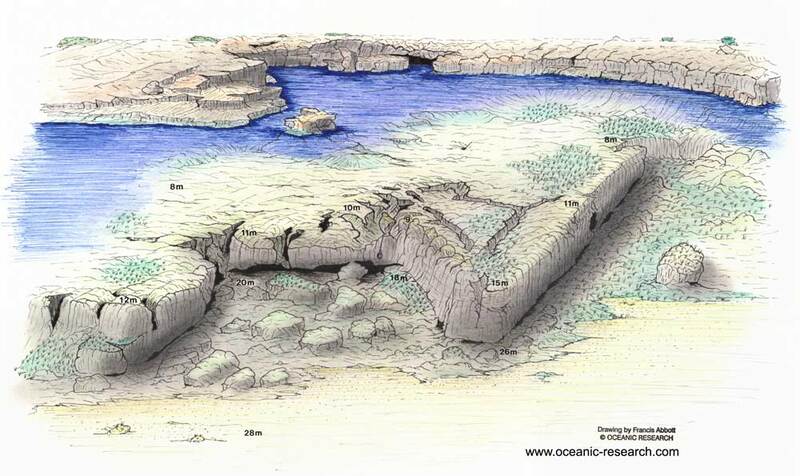 The main entrance lays just above a rocky seabed at 18 m deep. As we venture futrher inside we discover large and impressive columns. And once deep inside we come across a small air chamber with its own stalactites and one magnificent stalagmite that rises from the seabed to the surface. 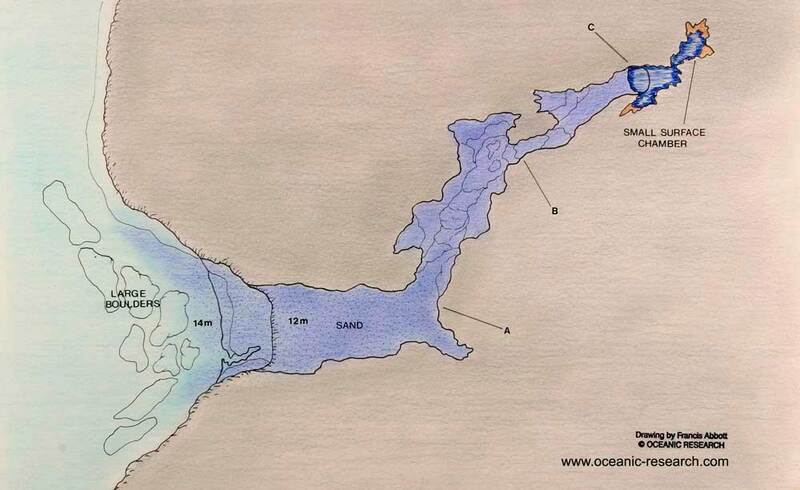 Situated between Cathedral and Belfry, the access is via a triangular arch over a sand seabed. Once inside a pronounced ascent leads us to a small space of narrow columns of spectacular beauty. The exit is made via a small hole that descends back to the sandy entrance. A small cave with a surprise air chamber. 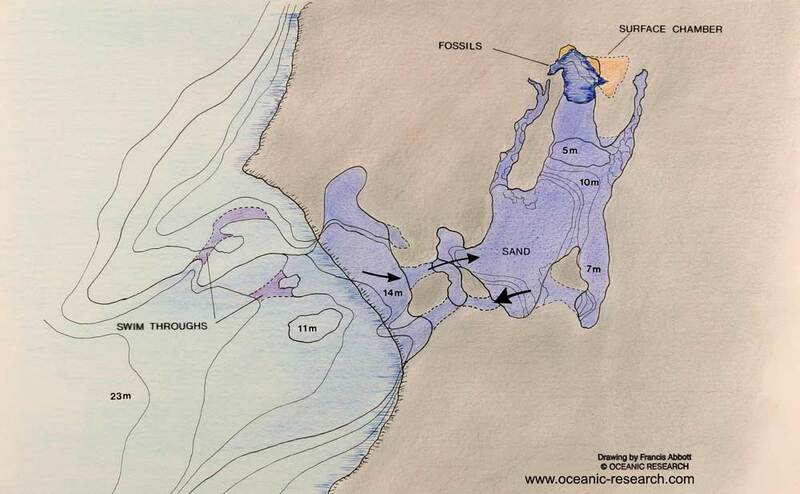 Fossils is the smallest of the cave system in Cap d’en Font. 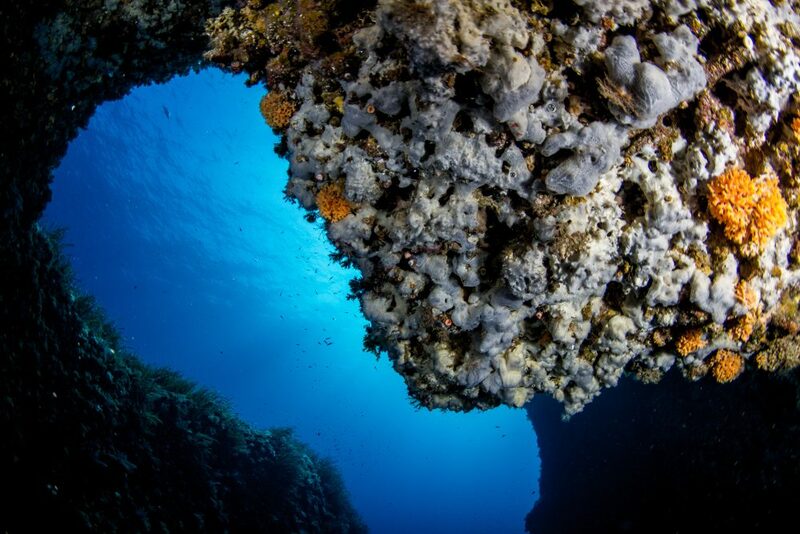 A dive site only for experts and lovers of tight spots! 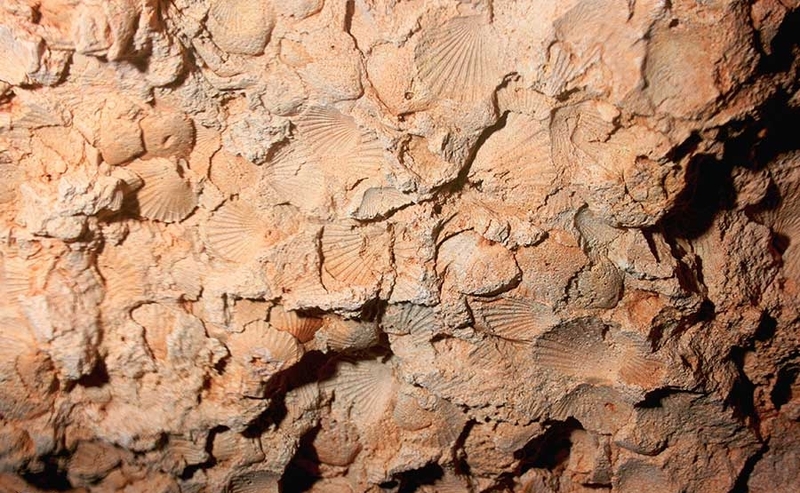 With sandy seabed and tight passes, its morphology is unique compared to the rest of the Cap d’en Font caves. 100% recommended for the expert divers. 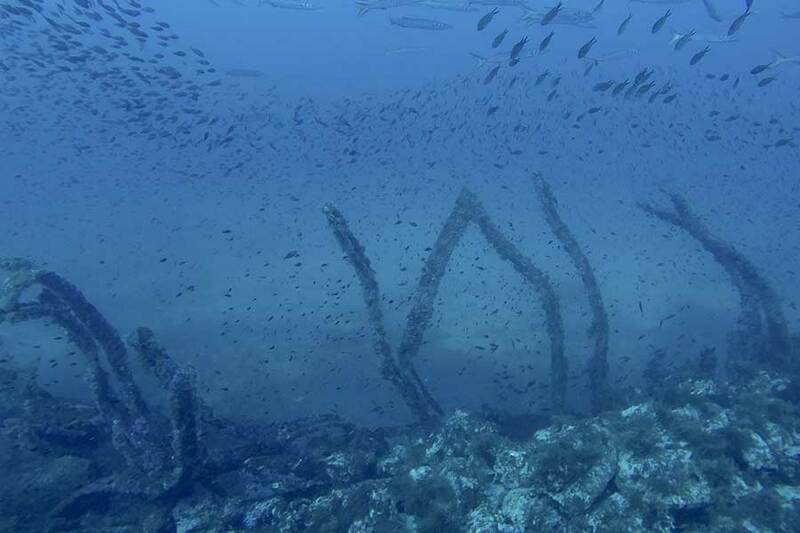 An artificial reef in Menorcan waters. Originally designed to navigate fluvial waters, this iron boat came from north Europe. 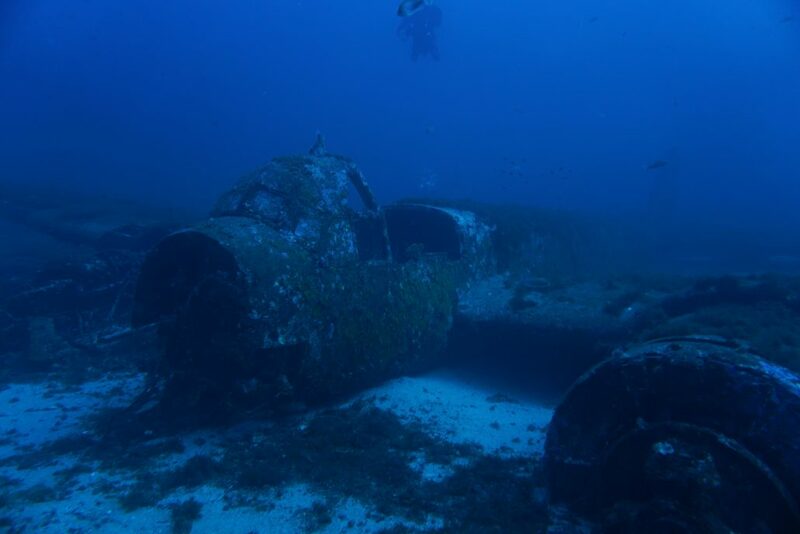 It landed in the port of Mahon in the late 80´s and it was in 1991, due to its deteriorated state, it was decided to tow her out in front of Son Bou’s beach, and skuttle her to create an artificial reef. 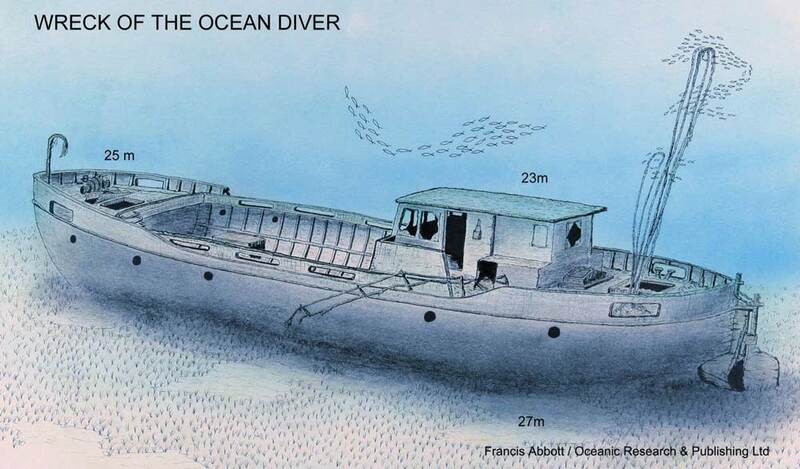 It rests on a sandy seabed at 27m and makes this an idilic start to wreck diving. 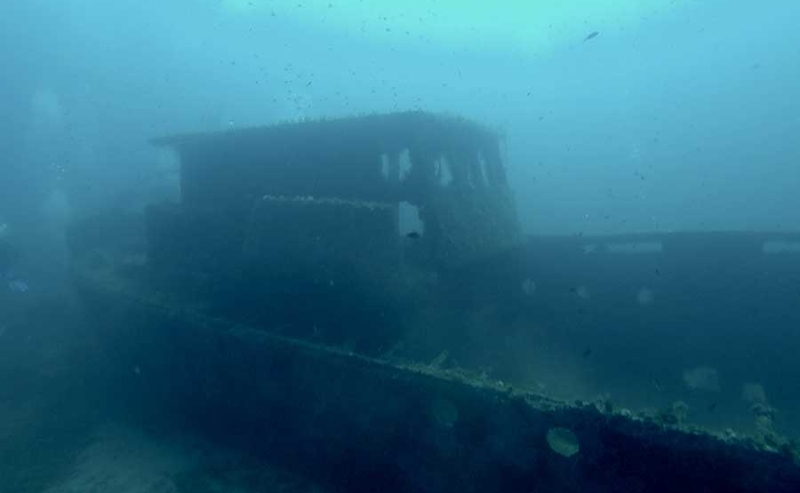 For lovers of the deep and wrecks. 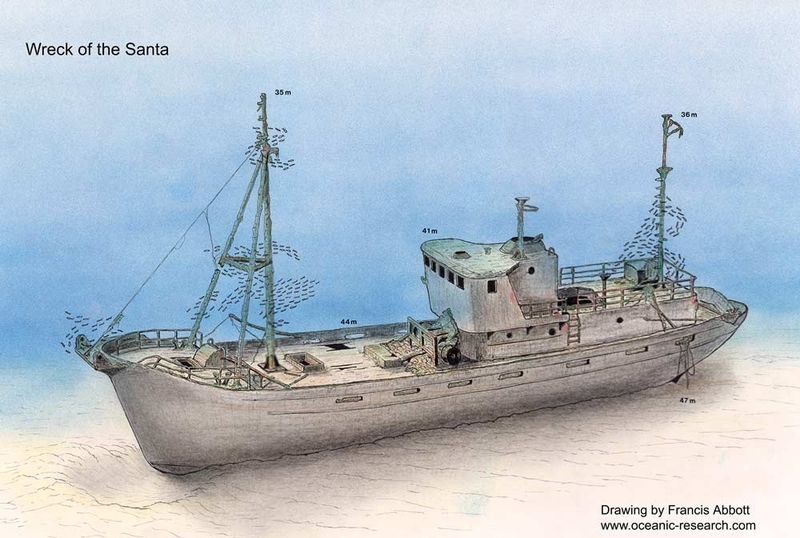 The fishing vessel Santa Clara lays at 47m in front of punta de Rafalet. The wreck as remained upright and in good state. Close to the fishing vessel we find an old army land going vehicle. 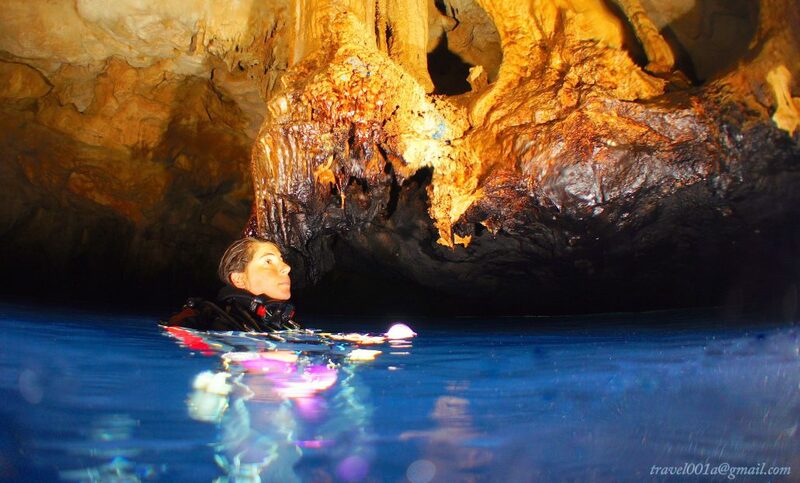 A beautiful immersion for technical divers and those more experienced. 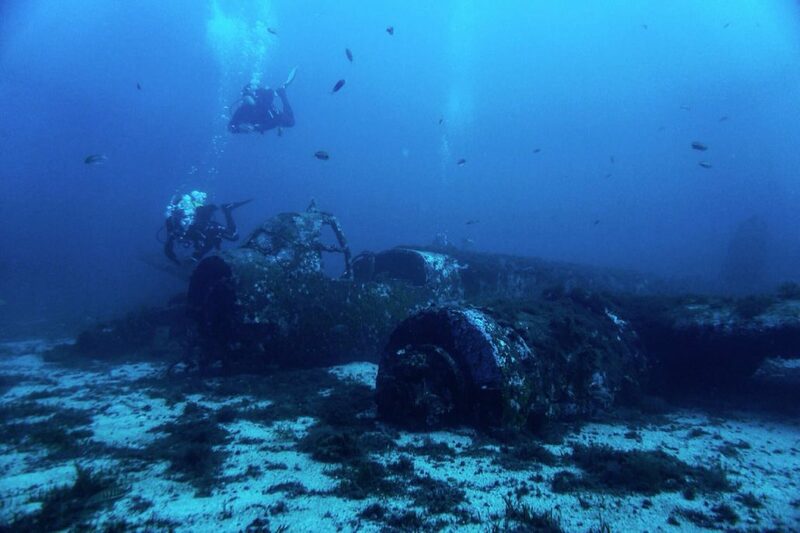 Have you ever dived in an airplane? The 24th of February 1943, german bombardier, Ju 88, accidentally went off course after attacking various objectives in Algiers. On seeing the light house of the Isla del Aire and aware of low fuel status, the pilot decided on amking an emergency landing, ending up with the plane, and its 4 crew members falling into the sea in front of the stunned eyes of the crew of a local fishing trawler called Segund Gaspar, the trawler managed to rescue the 4 from the plane alive. 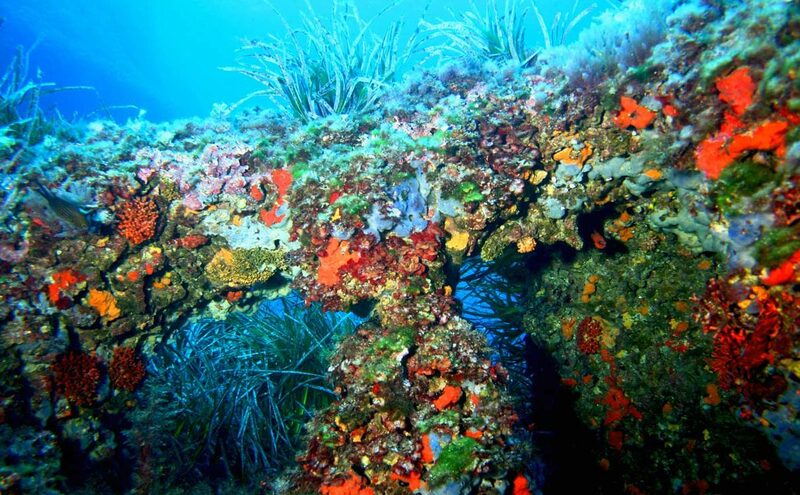 The biggest wreck on the island, an artificial reef full of life. 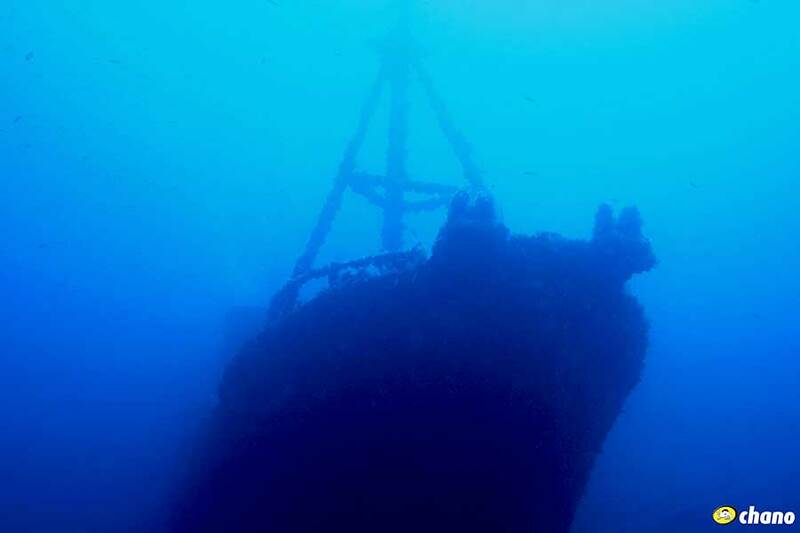 The french freighter colided with Escull des Governador and sank on January 2nd of 1929 off the SW coast of Menorca and took with her most of the crew. 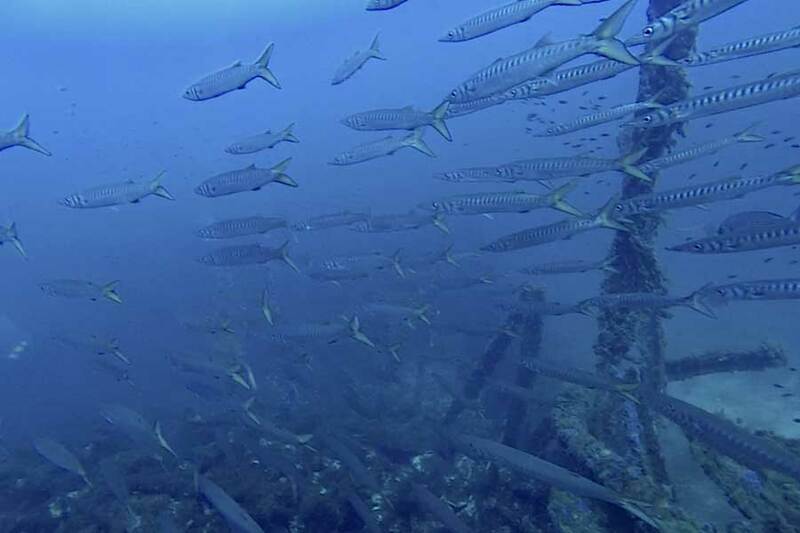 The wreck lays at between 32m and 38m on a sand sea bed creating an artificial reef, teeming with life. 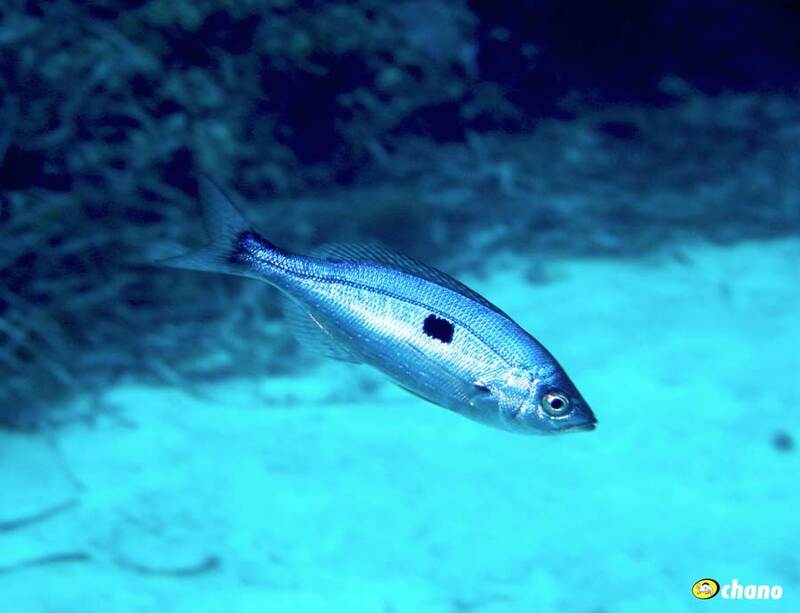 3 tails, barracudas , nudibranches, morays, groupers and sometimes moon fish, coexisting in an ecosystem ideal to visit by any lover of marine life and the depths. 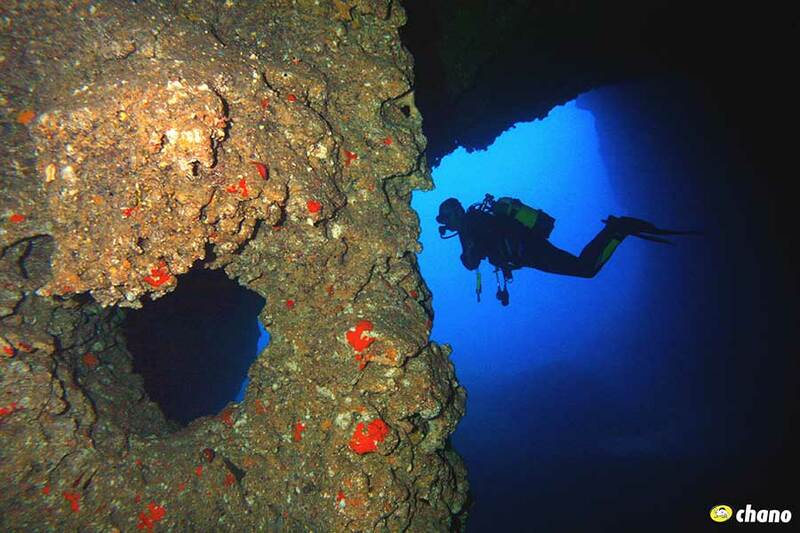 And many more dive sites! Three roman anchors await you in the blue. Tunnels and Chimneys in a game of lights. A caribean immersion off the South coast of Menorca. Tunnels and swim throughs everywhere! Dive is fun! 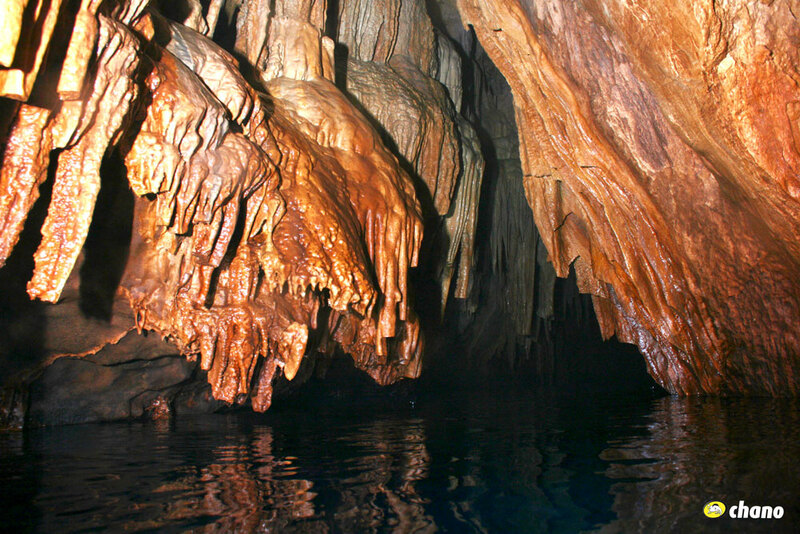 Stalactites and Stalagmites for cave lovers.